Someone, somewhere, recently decided to bid a fond farewell to one of the most legendary telephoto lenses ever made, the Canon EF 1200mm f/5.6 L USM and, now that it is at the B&H SuperStore, a group of photographers from B&H were given the opportunity to take this optical giant out for a unique shooting experience. Not only is it legendary, it is rare and mysterious. Our friends at Canon cannot even tell us how many of these lenses were made, with any certainty. There is speculation around the Web, but most experts seem to think that less than two dozen were ever produced. This lens is so rare that Canon does not even possess an example after the company’s one copy was damaged beyond repair in a shipping mishap. Oops. The B&H Used Department is welcoming its third Canon 1200mm lens. The last one to visit the SuperStore was sold in 2009. When the assistant manager of the Web Content department comes to your desk and says that your presence is requested in the conference room, it usually means something cool is about to happen. I walked into a room full of people and was told—not asked—that I needed to take photos with this lens and write about the experience. Whoa. Cool! Let’s do this! The Canon EF 1200mm f/5.6 L USM lens was born with the Canon FD mount and reportedly first appeared in 1984, at the Summer Olympic Games in Los Angeles, California. Five lenses were used by the media to cover the Games and then the lenses were shipped back to Japan and later converted to the EF mount. According to Canon, this is the longest lens in the world with full autofocus capability. 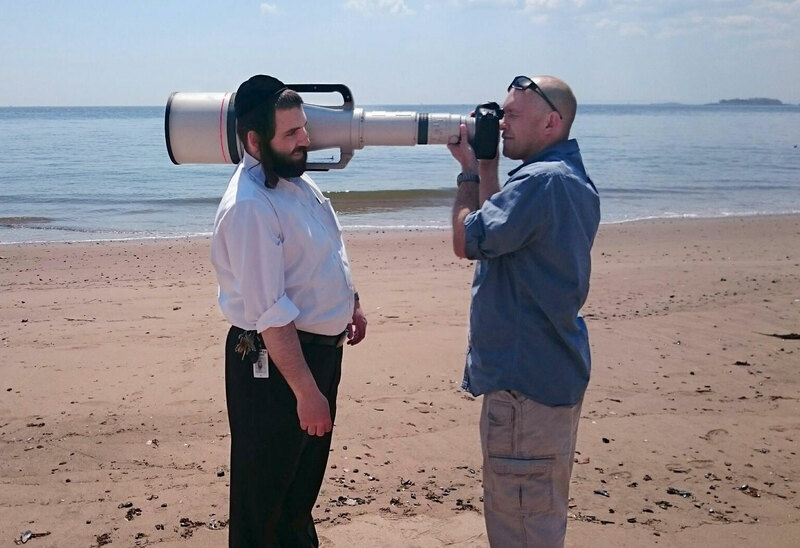 Canon made this lens available by special order only. A $10,000 deposit was required with the order and manufacturing would only start when several lenses were put on order. Sports Illustrated magazine purchased two 1200mm lenses in the 1990’s. Canon lent a lens to the St. Louis Post-Dispatch in 1999, so they could document Major League Baseball slugger Mark McGuire’s single-season home-run record attempt from center field; photographing every pitch McGuire faced that season. The extreme focal length of the lens gives a unique perspective of the distant view from the outfield fence that other lenses cannot capture. Inside the metal barrel, two of the lens elements are constructed from enormous fluorite crystals that, according to lore, took more than a year to grow. The lens is constructed of metal and painted in Canon’s signature white. Canon’s top professional lenses carry the “L” designation and a distinctive red band around the lens. The white paint applied to Canon’s large telephoto started as a practical application to enhance thermal stability for their largest lenses. As the flagship member of the esteemed “L Series,” the EF 1200mm easily features the largest red ring ever painted on a Canon lens. The lens top has a substantial carry handle and the fixed tripod mount below is nearly identical to the handle in size and shape, giving the design symmetry and balance from top to bottom. A built-in lens hood telescopes to shade the front element from stray light, and a handsome, embroidered leather arrangement protects the front of the lens during transport. A standard Canon rear lens cap lives on the back. It weighs just over 36 pounds. It is nearly 3' long. The front opening is 9" wide. The Canon EF 70-200mm f/2.8L IS II USM lens weighs 3.28 lb. Many “pro” lenses feature 77mm filters—the 77mm is a full 6" smaller than the gaping circle at the front of this Canon. Speaking of filters, no one makes a 228.6mm circular polarizer, neutral density, or UV filter. The rear section of the lens has a drop-in gelatin holder for specially made 48mm filters. If the 1200mm focal length is not long enough for you, the Canon Extender EF 1.4x II and 2.0x II teleconverters are happy to get you even closer. Put the EF 1200mm on a Canon APS-C format camera like the Canon 7D Mark II and you instantly have access to a 1920mm f/5.6 lens. Also, the Canon USA website lists 12mm and 25mm extension tubes as accessories for this lens to reduce the minimum focus distance to less than its native 45.9'. A window atop the lens shows focal distance markings and has infrared indexing as well. In the world of lenses, this may be the only one that shows marked distances of 900 feet / 300 meters before you turn toward the infinity mark. How many focus rings do you see marked with triple-digit numbers, let alone numbers approaching four digits? At f/5.6, the hyperfocal distance of this lens is nearly 8 miles. Stop the lens down to f/32 and your hyperfocal distance is a comparatively small 1.4 miles. A vast majority of us, when planning to go out to take photos, spend our time considering what lenses we need to put into our bag, which ones we can leave behind to save weight, and what accessories we will need for a particular shoot. With the Canon 1200mm lens, planning involves not what to bring and leave behind, it starts with this question: “How many people do I need to bring with me to carry the gear needed to get the shot?” If you own this lens, you had better have at least one friend who is passionate about photography and willing to carry heavy loads. You may be better off with two or more friends. Carrying the lens, camera bodies, and supports is more accurately a 2.5-person job. Hauling the gear to a location and shooting a lens like this is more akin to a logistics challenge than simple planning. Also, there is nothing casual about this lens. You cannot just decide, on a whim, to take it outside to make some photographs. If you want to try to use the optic to its fullest potential, you will need to scout locations, have ideas of what images you want to capture, and keep an eye on the weather. Remember to do all this while coordinating the schedules of several other people who you will need to pull this off. 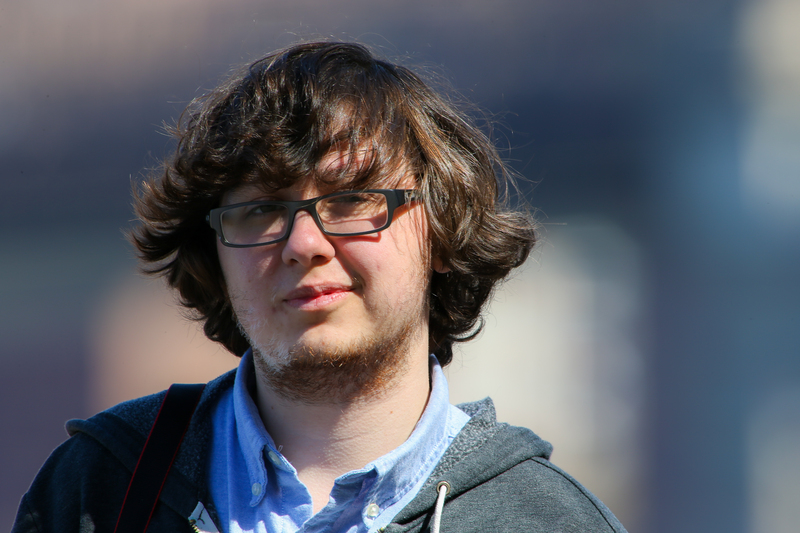 The plan was to take the lens to the Brooklyn Bridge Promenade and then head to the DUMBO (Down Under the Manhattan Bridge Overpass) neighborhood. We figured the Promenade and DUMBO area would give us a variety of subjects to show off the unique capabilities of this lens since the view, from left to right, is Red Hook, Governor’s Island, the Statue of Liberty, Ellis Island, the southern tip of Manhattan including the Wall Street Heliport, One World Trade Center, South Street Seaport and other prominent buildings, the Brooklyn Bridge, and the Manhattan Bridge. We brought the lens to the location shoot in the back of an SUV. Taking this lens down into the New York City subway would have been a difficult proposition, even without the rush-hour crowds. Carrying the case is a two-pallbearer operation. The empty case feels about the same weight as the lens. 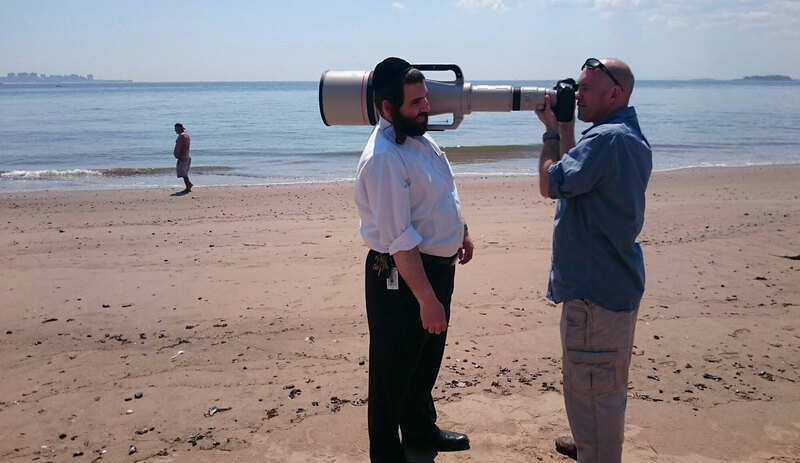 Put the lens in it, and you have an 80-lb load. Safe setup requires a minimum of four hands, as well. Leave your travel tripod at home. 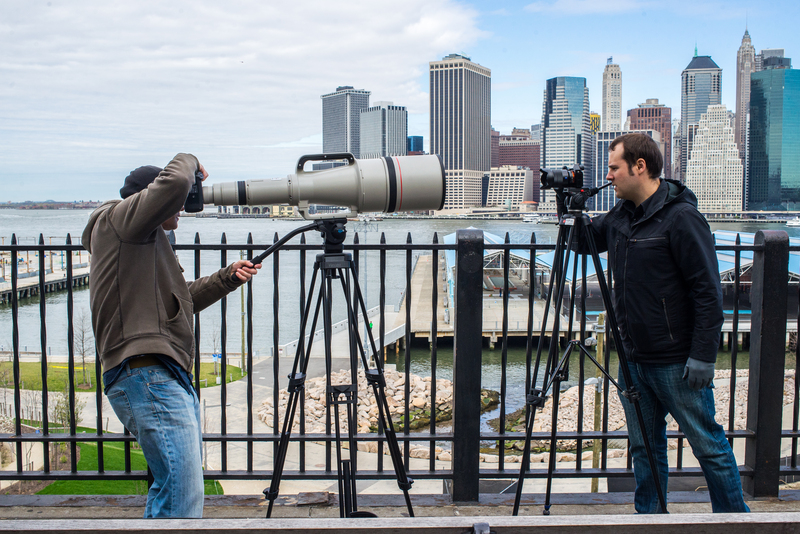 You’ll want the biggest, heaviest support you can get to keep the Canon 1200mm lens steady. Also, because of the distance from the camera to the lens’s center of gravity, you are likely to find that a heavy-duty panning head with a long handle may make maneuvering the lens easier. We requisitioned a substantial video tripod from the Used Department for our mission, and it worked admirably. For action shots, a gimbal head would be the way to go. Even with autofocus and the power of Canon’s latest flagship DSLR, the 1D X, shooting the 1200mm lens was challenging. The telephoto range is eye-popping; more than one shooter said, “Wow!” the first moment he looked through the 1D X viewfinder. Once you get over the initial shock of the lens’s reach, you start to settle in to make images. With an extremely limited field of view, you find yourself looking through the proverbial soda straw. The narrow field of view brings the fact that you are shooting a fixed focal length prime lens to the forefront. Framing is what it is. You cannot zoom in or pull back and, if you want to take a few steps forward or backwards to change your frame, the size of this lens means that you need to get all hands on deck to pick up both the lens and support, or disconnect the lens from the tripod, move all the gear, and set up again. Extreme fixed focal length telephoto trumps flexibility. 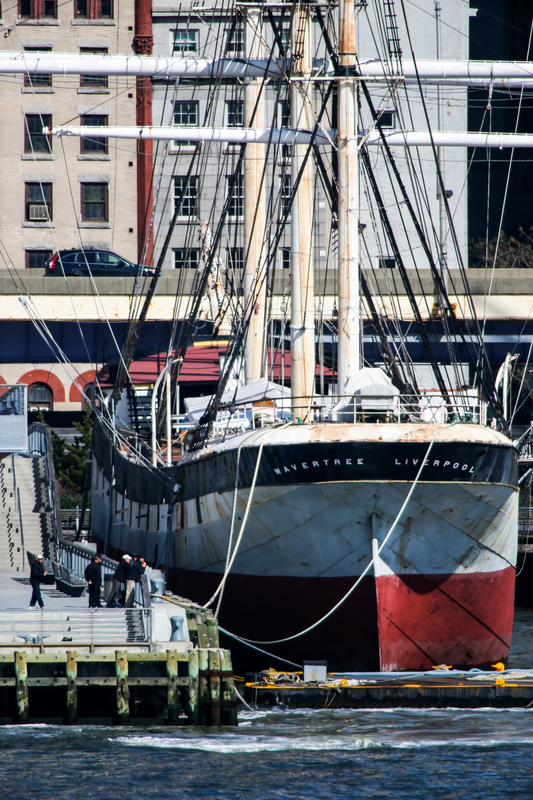 This image demonstrates the incredible telephoto compression of this lens. Speaking of moving it, in between locations, you can disconnect the lens from the tripod and throw the lens over your shoulder, but I wouldn’t plan on walking more than a few city blocks with it riding on your body like that. I carried the lens from the Promenade to the waiting SUV, maybe 100 yards. I could have gone farther, but was secretly glad a vehicle was waiting to take the load to the next location. The next day, I noticed a bruise on my right collar bone. Before returning to the store, we shot the lens from the corner of 34th St and 9th Ave, in front of the B&H SuperStore. Pointing the lens at the Empire State Building, we were able to see individuals on the observation deck and details of the building’s design rarely seen from ground level. 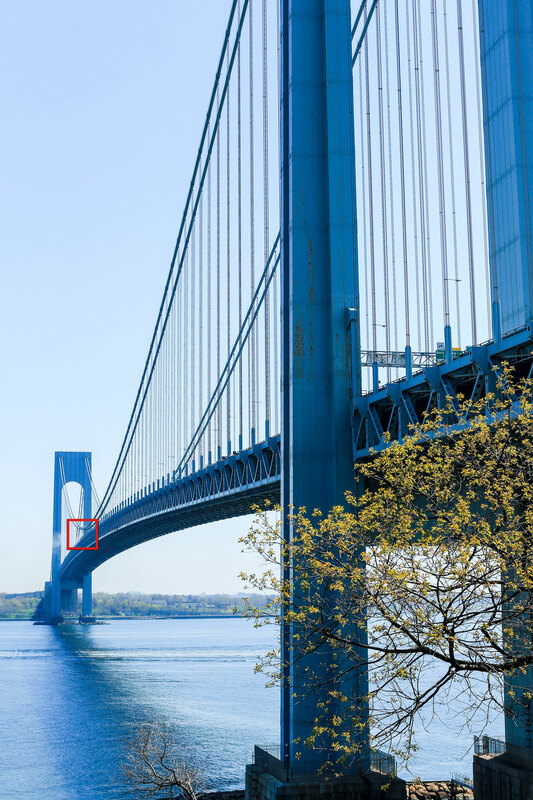 For the second outing with this lens, the B&H team chose to head to Staten Island, where we would have access to a variety of vantage points to try to illustrate the capabilities of the lens. Security stopped us in the ferry terminal. The bomb-sniffing dog was curious about the lens, but when I offered to open the case, the handler politely declined on behalf of the pup. 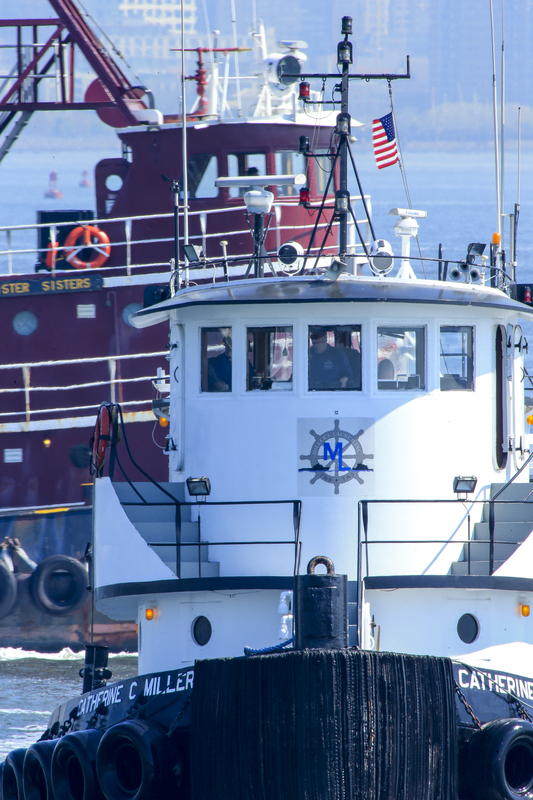 Arriving in Staten Island, we set up the lens at the ferry terminal and photographed the harbor, hoping to show the incomparable compression capabilities of a 1200mm lens. Shooting from the terminal illustrated one consideration that you must keep in mind when using this lens: air. It may be a crystal-clear day, free of haze, smoke, smog, and fog, but when you are taking photos of objects three miles away, the light reflecting from said objects has to travel through a lot of air to get through the lens. There is no doubt the Canon 1200mm is sharp and distortion free, but you cannot beat the physics that bends light travelling through everything that the air has to offer it over great distances. 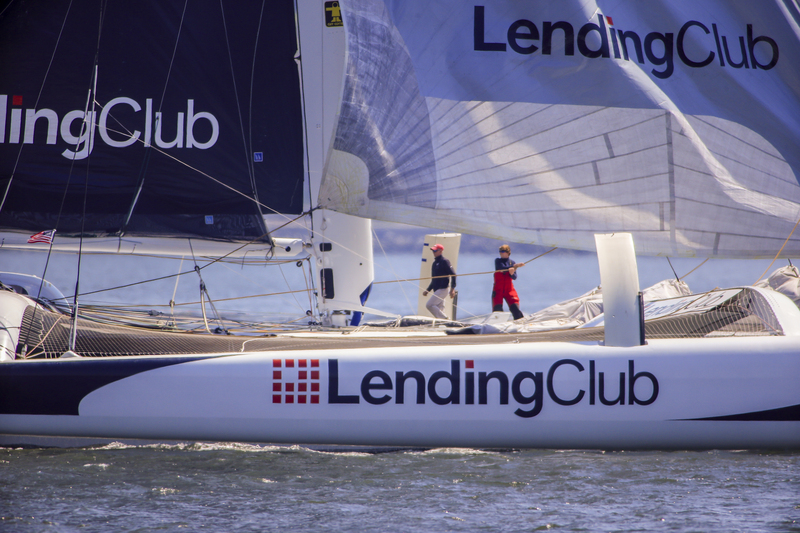 Sailing on New York Harbor was a record-breaking trimaran, the Lending Club. The sailboat never made it very close to shore, but that was no issue for the Canon 1200mm. We were able to get images of the boat from a great distance that gave the perspective of shooting from the water on a chase boat in close proximity to the trimaran. 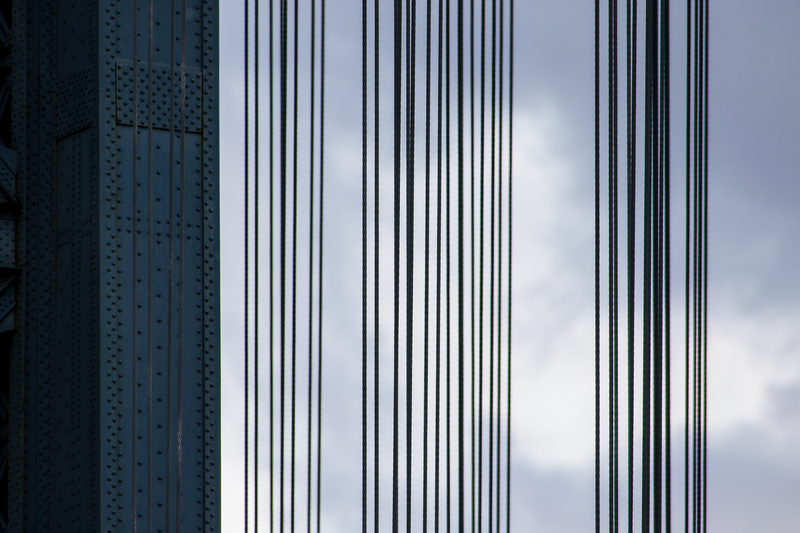 Unfortunately, foliage kept us from getting the towers of the Verrazano Bridge lined up, but we were able to do some detail work on the bridge. the red box shows the field of view of the Canon 1200mm. I find there are two things I enjoy when shooting long lenses. One, obviously, is bringing very distant objects closer to me. This is what telephotos do. 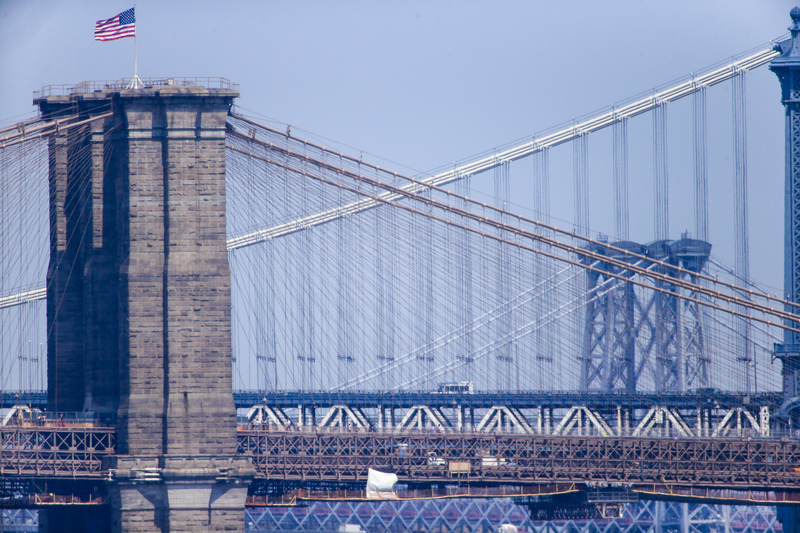 With the Canon 1200mm lens perched on top of the Brooklyn Bridge Promenade, I was capturing images across the East River and New York Harbor that few other photographers will ever get to create. The lens gives you the ability to isolate subjects from afar where the only option for images captured with mere mortal lenses would be a significant crop of the image in post processing. It is all about the extreme reach of the lens. I can only imagine how using an APS-C format camera would extend this reach even farther. 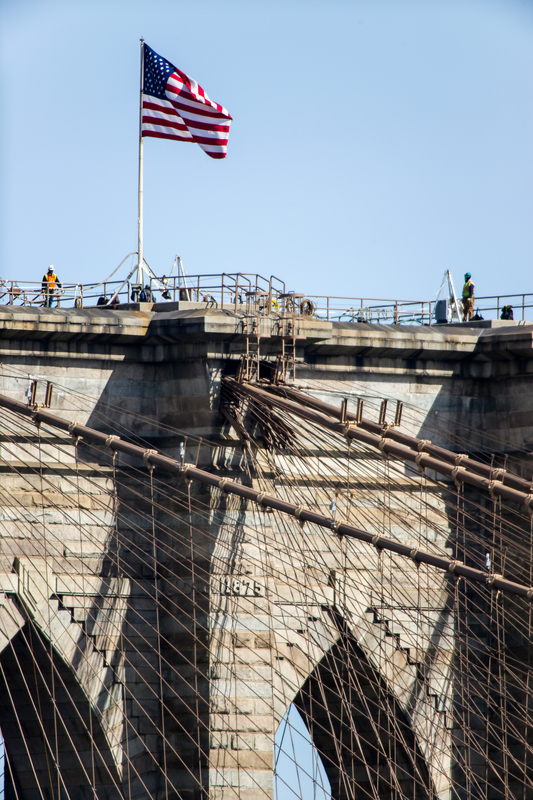 From the comfort and quiet of the Promenade, I was able to photograph workers on top of the far tower of the Brooklyn Bridge and tell you what they were wearing, what color their hard hats were, and that the crews were wearing safety harnesses over their reflective work vests—from well over half-a-mile away. But, the thing I most enjoy about the freedom of extreme telephoto is the opportunity it affords to create abstract images and focus on the parts versus the whole of whatever I am shooting. At 1200mm, this lens certainly provides a unique creative perspective and opportunity to create artistic images for a DSLR shooter. This is the draw of this lens for me. I certainly would have liked to test this lens for birding, other wildlife, or sports, but my time with the massive lens was limited. One surprise was its ability to capture very good portraits. Traditional portrait focal lengths range between 75mm and 135mm. Let me be the first to say that a 1200mm lens is really good for portraiture. The Canon’s incredibly shallow depth of field (1.1" at f/5.6 and the minimum focus distance) ensured that the backgrounds were reduced to ultra-smooth renditions of unrecognizable creaminess. Even stopped down, the background objects never took form in the images from this lens. You may need walkie-talkies to communicate with and pose your subject, but, with a minimum focus distance of 46', you are ensured of a very comfortable working distance between model and photographer! Please note that even if the Canon 1D X had featured a fully articulating LCD screen, this camera/lens combination is completely unsuitable for selfies. As digital photography has taken over the art, and mobile phone photos are being snapped thousands of times a second, I have noticed that passersby, in general, do not dive out of the way of your path when you are taking photos out in public. Not long ago, no one wanted to cost you the expense of “wasting” a frame of film. People seemed to go out of their way not to interfere with a photograph. Today, everyone assumes you can just take another “free” shot with your digital camera and they often walk right through your composition. 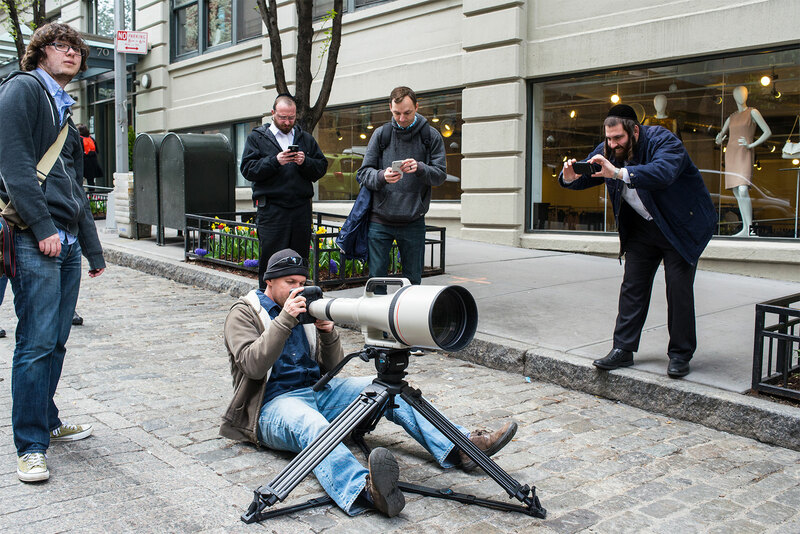 However, when the Canon 1200mm was mounted on the tripod, New York pedestrians ducked and weaved out of the way as if the lens was about to fire a deadly projectile from its gaping aperture. It was amusing and extra noticeable in today’s world, where many fail to yield to photographers. Wherever we set up, small crowds formed around us. Some asked questions. Some looked insecure with their small pocket-sized point-and-shoot cameras. If you own this lens, say goodbye to any feelings of lens envy. The Williamsburg, Manhattan, and Brooklyn Bridges in one image, from the Staten Island Ferry. The lens was resting on a coworker’s shoulder to provide sufficient stability. “The New York Times called. They want to do an article about the lens.” Put a unique used lens on the market, the Internet starts to buzz, and then a well-known local newspaper calls and asks if they can photograph with the lens and write a story about it. So, the B&H team headed out to the Brooklyn Bridge Promenade once again to meet New York Times reporter James Barron and Metro Section photographer Chang Lee. Lee shot through the lens while Barron asked the B&H crew about the 1200mm. Based on what I observed, both the reporter and photographer were awestruck at the awesome power of the lens. As Chang was shooting the waterfront, a trio of US Marine Corps MV-22 Ospreys from squadron HMX-1 showed up, sporting their glossy green paint scheme. Perfect timing for some great shots with the Canon! After packing up on the Promenade, the team headed to the Manhattan Bridge where Lee had the plan of shooting the Statue of Liberty through the Brooklyn Bridge at sunset. John Harris and I carried the lens about 1/3 of the way across the bridge for the shoot and, after getting half way there, I was wishing I had a hand truck in my back pocket. We reached the designated spot, arms lengthened by traction, and got ready to set up. Lee asked us to wait. I saw a lot of photos that could have been grabbed, but he knew what he wanted and had the patience to wait more than 45 minutes before getting the gear set up for his shot. It was interesting to see a modern-day working photographer display the kind of patience Lee did. … except, Shutterbug called the next day. They want to do a story, too. As a thank you for letting me play with the amazing Canon 1200mm lens, I need to give B&H’s Used Department a plug. At press time, this lens is now for sale through the B&H Used Department. If you have gear to which you are ready to say goodbye, the B&H Used Department offers top dollar for everything, from legendary and rare lenses to your basic DSLR kit zooms. And, trading up or selling your gear to B&H is hassle free, with free shipping and quick payment back to you. Thanks for checking in! I received your email and will reply shortly. Thanks for reading! Thanks again for your comments and email. Unfortunately, we did not have the Fujifilm S1 and Canon EF 1200mm on hand at the same time to do a head-to-head comparison, but I can tell you, first hand, that the Fujifilm S1 is a lot easier to carry around than the Canon lens and the S1 has excellent image quality in its smaller, portable form. For a review of another long-zoom camera, check out my P900 review here. It looks like you shot the lady straight on. Were you a couple hundred feet above sea level, correct in post process, maybe have a shift adapter? Is there a shift adapter? Love your articles. So easy to read. 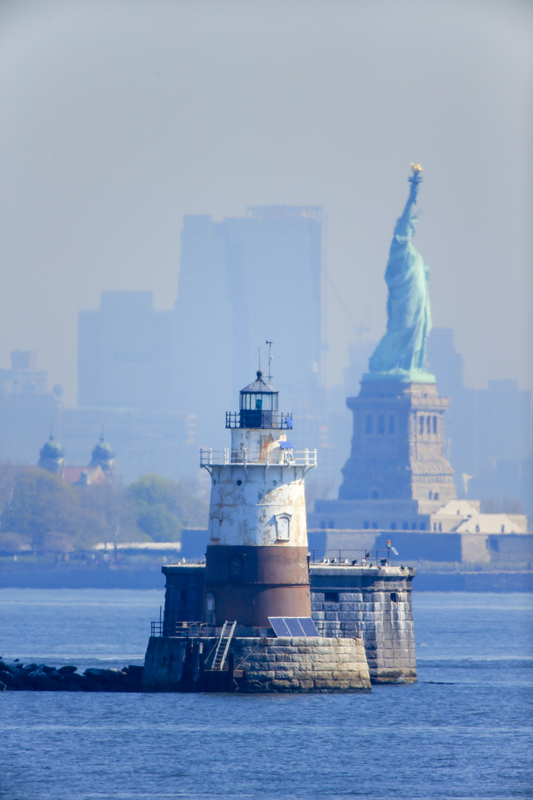 The Statue of Liberty was shot from the Brooklyn Bridge Promenade on a pretty clear day. Very minor adjustments were made in Lightroom (less than 10 seconds of work). I am not sure of the height of the Promenade, but it is probably about 100 feet above the water. Below is warehouses and I-287. I dont know of a shift adapter! Thank you, very much, for the kind words, Lance! Thanks for reading! I am very familiar with the older FL-mount Canon 1200mm lens- I own three of them! The FL-mount version was part of a four lens "convertible" system. There was the control unit that had focus and aperature, plus a drop-in filter holder (48mm diameter), a selector ring for which front-end lens, and the tripod mount. The front ends were 400mm, 600mm, 800mm, and 1200mm. When the 1200mm front-end is attached, the control unit aperature goes wide open, and the lens becomes a preset f/11. My go to tripod for the 1200mm is an old Davis & Sanford (with the "jawbreaker" center coluum) and a Majestic gearhead. Thanks for sharing! How do you shoot all three at the same time? Now THAT would make for a cool article! Awesome article and this is highly recommended for those who are sports journalist , wildlife photographer , .......or may be ..... James Bond ? This is not a lens for Commander Bond. He usually works alone and needs to be agile and quick. This lens is definitely more for bumbling teams of SPECTRE goons...or the Rock! Hi Todd, please ensure you take out this lens when the 5DSR comes into play next month (June 2015). As one of the other commentators said, it would be nice for a shot of the full moon. Cheers! I am happy to take your suggestion under consideration and pass it up the chain! Thanks for reading! Hey! any idea on what was the original perchase price on this lens back in the days. Im sure i used to have a Canon broshure from years ago (sadly long gone and i think it was about 60'000 UK Pounds. Really pleased to see this article and good of B&H to let it be used, mind you its good publicity. Wish i had the dosh to purchase it. it would look cool mounted on to pick, bit like a michine gun but the only shooting would be intersting images. According to an email from Canon, they remember that the lens sold for $79,000 when it was released and a $10,000 deposit was needed at the time of ordering. Nice article! But I too think you could have shot the moon (depending on how high it was in the sky). However, I see the reasoning behind shooting closer terrestrial objects. This sample of the 1200mm looks like it might be slightly sharper than the images I saw from the sample of this lens shot in 2009. However those I believe were with a 21 MP sensor, vs. 18. The lens is unique and awe inspiring, but just as impractical. The 800mm f/5.6 lenses seem more useful, and practical. Had you put a 7D2 on this lens, I think you would have found it soft when viewing at 100% (which seems like a reason you didn't do it...even more interesting would be a 5DS-R). As for what is exotic and unique...some people like me prefer wider aperture lenses of shorter focal length. For instance, I think either Canon, Sigma, or Nikon, should build a 250mm f/2.2 "DO", or maybe a shorter yet similar or faster aperture zoom...such as a 60-160 f/1.8. (Recall Nikon's 300mm f/2.0...it can be done). I like to shoot closer subjects in low light and also have extremely shallow DOF even in better light. Also, while I am on my soapbox...there aren't enough lenses being built that have an objective element between 80 and 100mm. Only the 150-600 f/6.3 zooms are in this size range, but there should be more. There is a big price gap between lenses priced at $2000, and those at $5000 or $7000. A whole new lens market segment could fill this gap. Canon's new 400mm f/4 DO II, and Nikon's new 300mm f/4, prove that "diffractive" designs are now coming into their own. I rented the Canon; it was awe inspiring, with its mode 3 IS I got usable panned shots of birds in flight at only 1/60th, at dawn...it is almost like "star wars" tech!! One of my passions is lunar photography. I wish I had access to the lens on a good moon night! Maybe I will in the future. Stand by to stand by! I did shoot the 7D Mark II with the lens, but did not get any "keepers!" No worries about the soapbox! Thanks for reading and sharing! When the flight of three V-22s came by, the NY Times photographer was shooting the lens. Unfortunately, we have not gotten to see their images yet. Sorry! 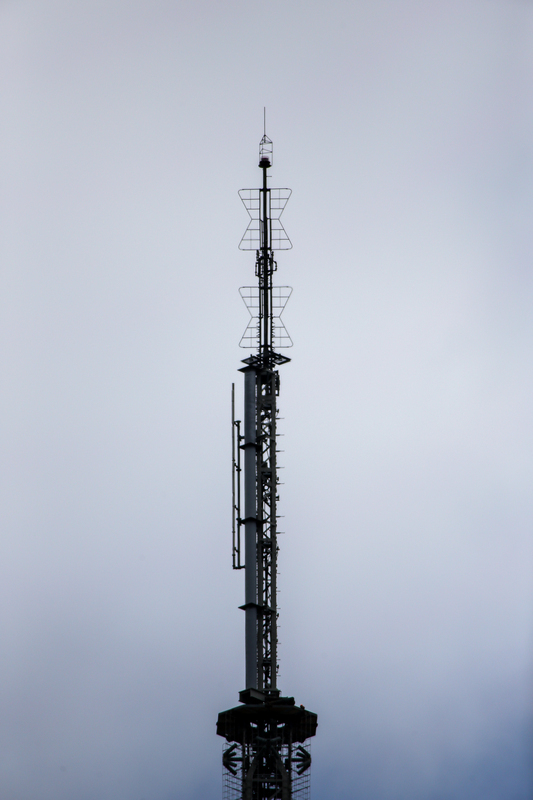 How does the image quality compare to an SX50 at 1200mm? Unfortunately, I cannot make a direct comparison of the lens and the SX50, but I have seen some remarkable images from an SX50 owned by one of the guys at the Pro Photo counter at the store! You might want to check what you wrote about the hyperfocal distance decreasing when the aperture goes from f5.6 to f32. Methinks you got it bass- ackwards!...or myabe you put a decimal point in at the wrong point? You said the hyperfocal distance at f5.6 was 8 MILES. You also wrote that at f32 it was 1 POINT 8 miles. Did you mean EIGHTEEN Miles??? Todd is more than correct. Hyperfocal distance at f5.6 on crop body is 8 miles and at f32 it is 1.8miles. Check with any DOF calculator. Lower the f stop (more open aperture) further away is hyperfocal "point". Thanks for getting my back, Bsa! Thanks for checking up on my math, Henry. I ran the numbers through a few hyperfocal calculators and it looks correct to me. Some calculators give different figures, but, when you crunch the numbers for any lens, when you open up a lens aperture, the hyperfocal distance moves further from the lens. "One surprise was its ability to capture very good portraits." I doubt I'm alone in wanting to see some portrait shots. 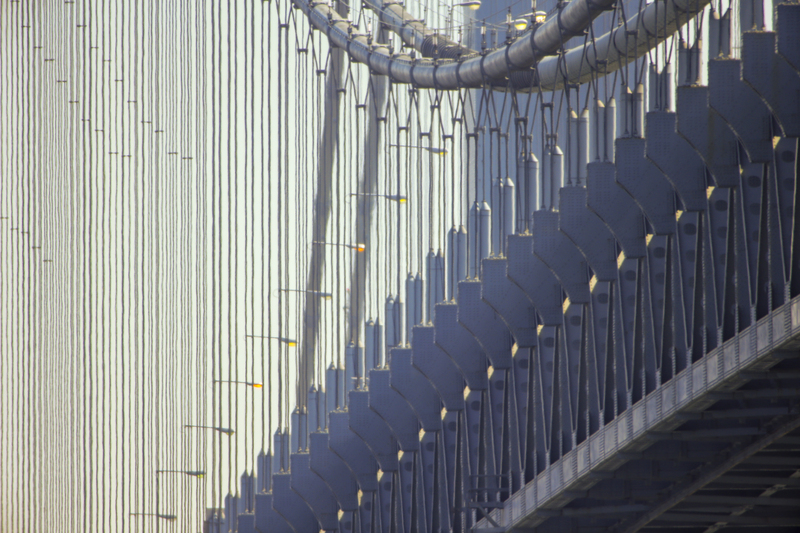 Absolutely fascinating, i'd love to do a shoot in SF with this, the bridge, alcatraz and bay would offer some fantastic places to really use its reach. the city taken through the bridge from the Marin Headlands in particular. Out of interest, are the images you took, such as the sunset or any of the portraits you mentioned available to view online? i'd love to see them. Thanks for commenting! Feel free to buy the lens for an SF shoot! The sunset photos were taken by a NY Times photographer and I have not seen them yet. For the portraits, see below. I remember reading an article many years ago(>10) in the online Sydney morning Herald(Australia), about using this lens to, I believe, shoot the Governor General from across the lake in Canberra. Thanks for reading and sharing, mate! G'day, Steve! Unfortunately, the moon was not out when we had the lens in the field. Actually, it was up for part of the outings, but it looked bright blue! I am insanely jealous! I'll take two: one in FD mount for my F-1N and the other in EF mount for my 5D Mk III. Apparently, back in 1981, according to my Canon Lens Work book, it wasn't an "L" lens and the 1200mm didn't have as wide an aperture at F/11; the lens was painted black. Thanks for the info. Unfortunately, we don't have much of an archive here at B&H Photo, so good to know the info. My partner here, John Harris, thinks that the black f/11 was actually a different lens, but we cannot confirm, nor deny this. Would you mind sending a scan of that page of your book to toddv@bhphoto.com? I'll see what I can do to scan the two pages from the book without breaking the binding of the book since it's still in pretty good shape. I pretty much a packrat; I have a 1982 Calumet catalog and it is interesting seeing the cameras and prices back then. I could've used the FD lens on July 8, 2011, but I only had a crew of one to check off a 30 year old bucket list item, which qualifies as a "Last of a Lifetime" event. I imagine that tracking a Space Shuttle launch would be difficult with a 1200mm lens; I decided against using my Spiratone 400mm f6.3 lens for that reason and used my 80-205mm f4.5 on my A-1. But my tripod wouldn't have supported the lens. Thanks for the link, Kjeld! Todd....What a fascinating article!!! I'm about to embark on a three day jaunt to the northeast city of Qingdao (ching-dow) for fun and shooting. I think I'll pass on taking this 36 pound telescope and will pack my 55 - 300mm Nikkor lens (purchased from B & H's Used Department) instead. This way I won't need a fork lift to mount my backpack on my shoulders. Thanks for this story! Fork lift...or a crew of help! Thanks for reading, Tom! I am glad you enjoyed it!